disaster recovery, and business intelligence. We create software solutions for migration, business intelligence, administration and integration to support companies that use Microsoft PPM and Office 365. We empower PMOs, project managers and administrators to work at their peak of productivity, reduce manual work and eliminate human errors, bringing maximum benefits to the business. As the only migration software for Microsoft PPM, FluentBooks offers an ultimate toolset for a quick and hassle-free migration of Microsoft Project Server or Project Online PWA, including configuration, projects, timesheets, and Sharepoint content. This is a complete toolset for effective Microsoft Project Online environment lifecycle management, including configuration audit and change management and the only Project Online backup and disaster recovery solution on the market. This is a useful tool for PWA administrators which allows advanced tracking and logging of all user activity within the Microsoft Project Server or Project Online environment. A comprehensive tool for effective project budget management in Microsoft Project Online, which helps moving from Excel spreadsheets to the next-level project financial management and planning process. A ready-made solution that allows exporting data from Office 365 Planner, Microsoft Project Server or Project Online to an SQL Server database instead of using OData without any SSIS development. Datamart also has several optional add-ons for reporting and data analytics. 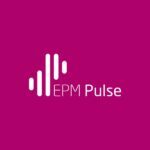 EPM Pulse is a Datamart add-on, that provides ultimate business intelligence, reporting, and data visualization toolset for Microsoft Project Online for building customizable reports and dashboards using 200+ pre-built charts and diagrams. 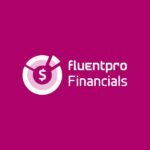 Another FluentPro Datamart add-on, that provides powerful business intelligence, reporting, and data visualization capabilities for Office 365 Planner for creating customizable reports and dashboards with dozens of pre-built charts and diagrams. It is a ready-made Power BI reporting package for Microsoft Project Online that provides 25+ pre-built reports. The pack can be purchased as a Datamart add-on and it can work with historical data, unlike direct connection of Project Online to Power BI. It is a ready-made Power BI reporting package for Office 365 Planner that provides 20+ pre-built reports and dashboards. Among other features, this pack allows historical data analysis and can be purchased as a Datamart add-on. A powerful integration suite for connecting third-party software products to Microsoft Project Online for complete portfolio visibility. Supported connectors: Microsoft Planner, Atlassian Jira, Asure DevOps (VSTS), ServiceNow, as well as custom connectors. FluentPro is a Microsoft Gold-certified partner in Project Portfolio Management competence. 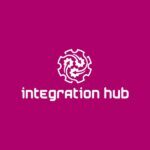 Delivering unique configuration management, migration and integration software products since 2009.